HotelSelva Alegre offers rooms with free Wi-Fi and fans in Arequipa. Free parking is provided. 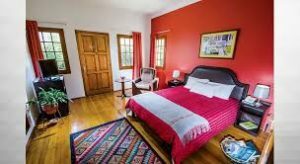 Decorated with parquet floors, rooms at Hostal Selva Alegre are very bright. They feature minibars and private bathrooms. Snacks and hot beverages can be ordered at the property’s coffee shop. This is our guests’ favourite part of Arequipa, according to independent reviews.